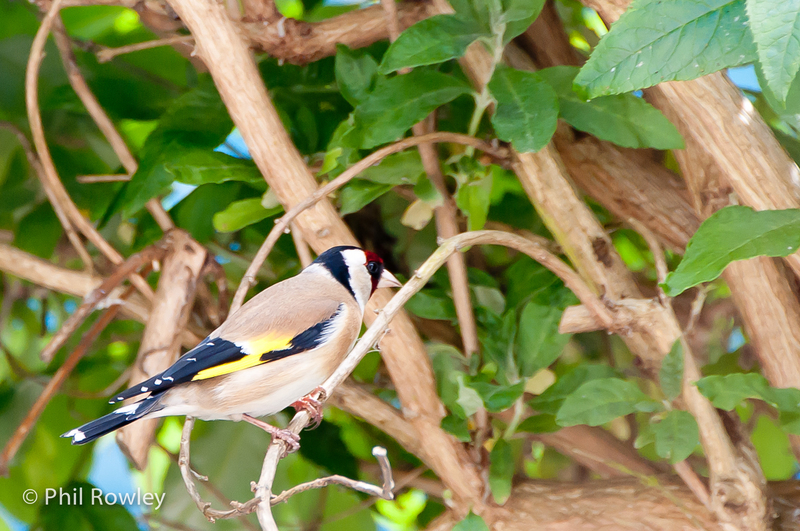 This year, I was lucky enough to have Goldfinches nesting in the Buddleja bush in my front garden. Why they would want to nest where there’s lots of cats, and people walking close by is anyones guess. They appeared to have now fledge. Well at least there is no sign of dead chicks, unlike when I had blackbirds nesting there. So I hope they are out there, flying around and singing like birds should. Good luck to you! Here’s one of them before they left.